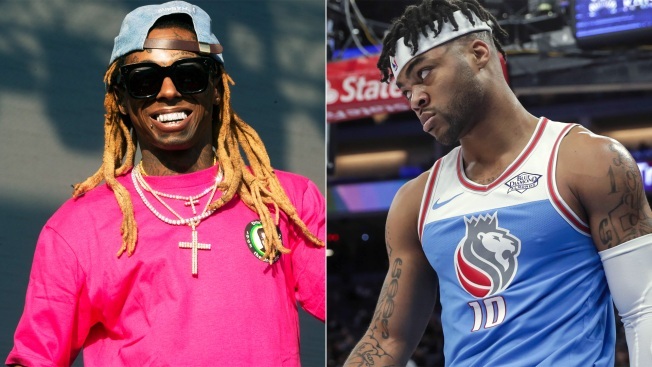 Second-year Sacramento Kings pro Frank Mason III is being sued by rap star Lil Wayne. Seriously. The 24-year-old guard is being sued for $92,000 and must give back his Young Money diamond chain, according to TMZ Sports. Before the Kings selected Mason in the second round of the 2017 NBA Draft, Lil Wayne's agency, Young Money APAA Sports Group, signed the former Kansas star. The agency reportedly gave Mason $40,000 in advance, paid his pre-draft expenses which totaled $52,000 and gave him an $11,000 diamond chain. However, Mason's contract reportedly stated if he left the agency, Mason would have to repay the money and give back the chain. This past April, Mason left the agency. Mason signed a three-year, $4,181,147 contract with the Kings after the 2017 draft. He is guaranteed $2,562,627.